"Alien values and institutions may have swamped Lankan society, but they have not succeeded in uprooting its citizens' sense of cultural and religious identity. Nor have foreign-oriented education and mass-media succeeded in causing more than a fraction of the population to reject their roots in traditional village culture." Without knowing the way one goes astray." Those who are well acquainted with Kataragama agree that it is a magical or mystical place governed by an ever-youthful Spirit that defies human comprehension. Even today most Lankans would agree that the playful 'unseen hand' of a Higher Power still operates at the multi-religious jungle shrine. Astute politicians have also taken notice. 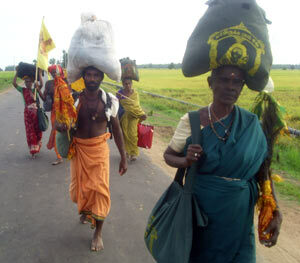 Recognizing what they regard as the shrine's political potential, some opposition MPs have jumped on the bandwagon by all flouncing their intention of organizing a mass march from Colombo to Kataragama which they have styled as a pada yatra or traditional foot pilgrimage. The ostensible purpose of the march, they say, is to register a host of contemporary grievances with the living Spirit and to demand justice.  They note that age-old traditions exist of lodging complaints at Kataragama. Citing our collective flight in this century from our traditions", the exponents of this political protest march maintain that Sri Lanka is now subject to the rules of modern politics, which ought therefore to be given a free hand to 'organize' the island's cultural traditions as well. Eschewing all arguments to the contrary as �mystical, they have unwittingly targeted that very dimension of Kataragama which they least understand and evidently scorn despite all protests to the contrary. A traditional procedure does indeed exist for performing pada yatra and also for lodging complaints with the living god personally. But it is quite unlike the mass-mediated protest march that the organizers have in mind. For as the custodians of this island's traditions well know, the whole point of genuine pada yatrais not social agitation but inner peace. And complaints are properly lodged directly and personally with the god, not broadcast pell-mell across the island by beating drums. Great friends of Lankan traditions, such as Rene Guenon and Ananda Coomaraswamy, have warned that the forces of anti-tradition typically advance a counterfeit tradition as a substitute for the real thing in order to dislodge it before replacing it with something diametrically opposed to spirituality altogether. In terms of culture and religion, the process is deadly, as evidenced by the decline of Kandyan dance from a deep mystical tradition into the shallow entertainment of 'dancing for dollars'. The same process now threatens to subvert and ultimately destroy the entire island's cultural and religious identity. This larger disintegrative process is representative of an alien mentality that has taken root in the hearts and minds of people everywhere, starting from the Western-influenced urban centres and reaching down to the village level through alien institutions that perceive local traditions (such as rājakāriya) to be �obstacles to progress'. Clearly, the subversion of Sri Lanka as a citadel of Dhamma has progressed and developed to such an alarming extent that the patient is now on the critical list and sinking fast, thanks largely to frequent injections of foreign loans and all the patent medicine that modern common sense keeps prescribing. And yet still a few obstinate voices are heard raised in defiance. Those speaking in non-European tongues only have been conveniently ignored until now, but finally their objections are beginning to be heard in English speaking and other circles as well. The inexorable democratic process has resulted in political imperative for leaders to take notice and heed the voters' fundamental aspirations, for in genuine democracy it is the people who rule while the leaders only represent them. The outstanding leader is one who can anticipate the inevitable social trends. Alien values and institutions may have swamped Lankan society, but they have not succeeded in uprooting its citizens' sense of cultural and religious identity. Nor have foreign-oriented education and mass-media succeeded in causing more than a fraction of the population to reject their roots in traditional village culture. On the contrary, alien institutions in this country and around the world are now facing inquiry and frequent rejection by the citizenry from top to bottom. And this is now a political reality that no party can any longer afford to ignore. In practical terms, this means that politicians who employ alien political tactics and attempt to pass them off as indigenous traditions run the risk of being caught in the harsh glare of public exposure. And this new fact of political life is good news for the short -and long - term welfare of villagers and city folk alike, for the more the public knows about its cultural heritage the less chance there is of their being hoodwinked by the unintending servants of this consumer-mentality. When people or institutions style themselves as �progressive-minded', �modern', �scientific', �realistic', etc., it is a sure signal that they do not have in mind the interests of village cultures. Most frequently it is they who tar villagers, village culture, and village wisdom as being �backward', out-of-date', �unrealistic' or �mystical'. The sooner this is recognized the better the chances for Sri Lanka's genuine independence. The spirit or divinity of Kataragama has long served as dukganna rala, the one who takes on the sorrows of others, and as such has found millions of friends from the bhupati or secular ruler down to the legions of homeless wandering mendicants who declare the god to be one of them. 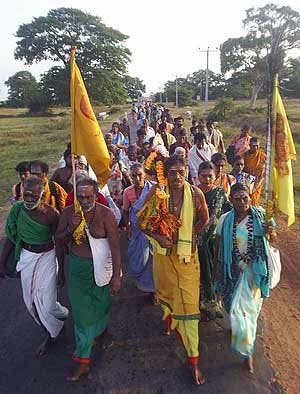 The experience of authentic pada yatra and submission to an ordering principle far superior to our own personal likes and dislikes are priceless national treasures which deserve to be identified and appreciated by more scholars and public servants as well as by rank-and-file devotees motivated enough to stand up and combat anti-traditional intrusions. Or, instead, will petty politicians and marketeers now become the new intermediaries and middlemen, mass-media priests and pilgrim contractors who will orchestrate the public's litany of complaints; Surely there are also enough self-serving cynics who are ready to seize every opportunity that presents itself. The prospect is terrifying. But what if there really is a higher power or divinity operating out of Kataragama as so many stories and legends maintain, one that makes sport of human vanity and reveals itself every so often in surprising new ways? That is also a terrifying prospect. For cynics, that is. In either case, Lankans had better re-examine their own traditions if they wish to recover their authentic self-identities, and fast. Patrick Harrigan has walked the Kataragama Pada Yatra twenty times since 1972. A founding member of the Kataragama Devotees Trust, he has published www.Kataragama.org since 1997.